It seems as if the soap I make loses its scent after a while. How do I prevent that? Thanks for visiting our blog! 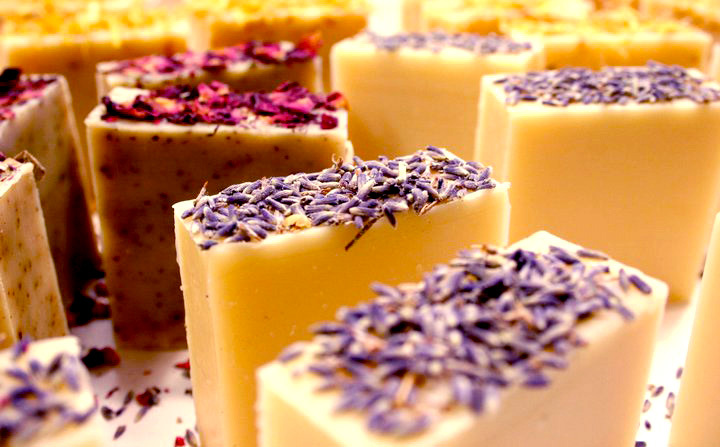 There are a number of reasons why your soap may be losing it’s scent. First it could be how they are stored or packaged. We keep our soaps stored on drying racks away from heat or sunlight until they are ready to be packaged. We find that when we wrap our soaps in tissue and in bags it helps to keep the scent strong! Even when we go to farmer’s markets we find our samples soaps lose their scent very quickly because of the air and light! Also, the oils or blends you use can be the cause of the fleeting scent. We usually use around 3% of essential oils in our recipes. We also try to use a balanced blend of three or more essential oils. A low, middle, and top note. Top notes, like an orange, tend to lose their scents a lot quicker. So try balancing it with another oil like Lavender or increase the percentage. If you’re not opposed to using fragrance oils they will always be stronger and last longer then essential oils.